Danny Kent - world champion in 2015 with cordona quickshifter, in the Grand Prix Road racing class Moto3. UK's first world champion since Barry Sheene won the 500cc Moto gp class 1977. Read more about Danny Kent on his Facebook page or at his official website. Cordona is very proud to be Homologated for KTM Factory Moto3 as well as for Honda Racing Moto3 in 2019. All KTM Moto3 bikes are delivered with a Cordona GP SG switch in 2019. The Analogue GP ASG Superbike quickshifter/blipper gives superior feeling and outstanding reliability. Plug & play kits for modern Superbikes and Street bikes with 0-5v interface. 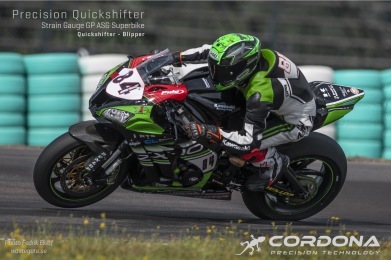 When you have teams in the Moto GP series that uses your products you know that your product is good enough for enyone ut there who is racing Superbike, Bott, Supersport, MX GP or any other class. The products we build is working just as good for the biginner to the very experts in roadracing. With so many different clients and constant feedback we can deliver the best quick shifters in the world ! Not even the best companies in the world get it right all the time. For example: BMW’s original quickshifter built into the ECU is not suitable for track use so we have been asked by leading race shops worldwide to build a standalone PQ8 for it. his kit completely bypasses the original ECU and as all other PQ8 units it calculates what kill time to use and smooth starts the engine after each up shift, and the sensor is a strain gauge. 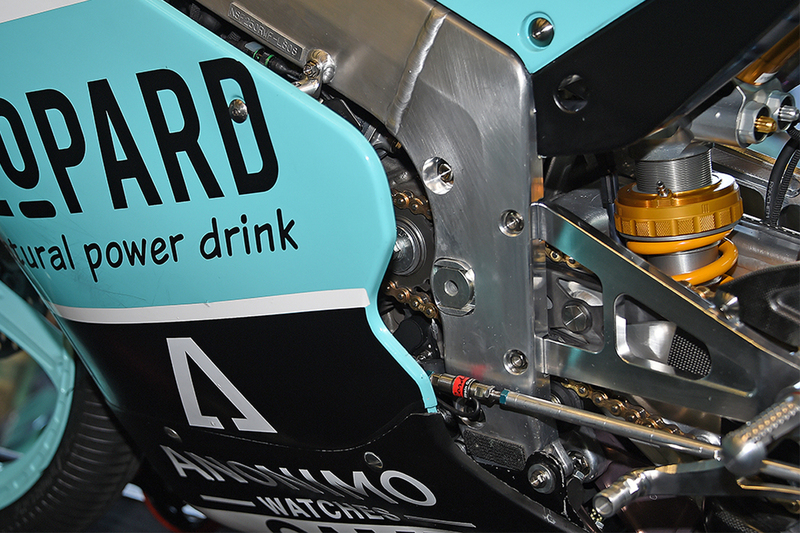 Cordona GP SG item 410 and PQ8 item 210B have IRTA approval for World Championship Moto2 use. Our success is based on listening to our clients and using that information to improve our products even more. We are using the best materials avalible to produce our Quickshifter to be sure of constant quality and a long life. Beeing at the tracks, we spend a lot of time at the tracks to really know what the pilots need ut also to hear directly of improvments that we can make. That gives result, and we got proof with wins in several classes but of cource the one we are mot happy about is Danny Kent's world championship win in 2015 with cordona quickshifter. "Ran 1st round of Superbike Nationals on Sunday. Our team took Pole Position in 1000cc class on Saturday (Clinton Seller) He went on to win both heats by about 9 seconds and 5 seconds respectively. We also took Pole in the 600cc Class with Steven Odendaal winning both heats. The Team is very happy with Cordona Shifters with comments like “shifts like cutting butter” and “best shifter I have ever used” made."